The community will have a chance to help save lives this weekend. A bone marrow registration drive hosted in part by Michigan Blood is being held during GVSU’s homecoming. First an attempted cyber-attack on Grand Valley State University’s Banner portal, now officials have issued a warning to watch out for a phone scam targeting students. September was childhood cancer awareness month, a time for children and families fighting pediatric cancer to be honored. 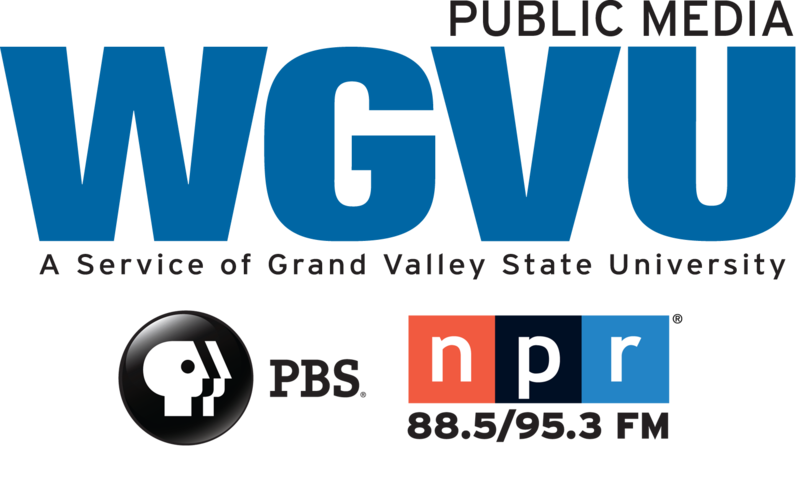 WGVU's Jennifer Moss talked with Dr. James Fahner, Division Chief for pediatric hematology and oncology at Helen Devos Children's Hospital. Dr. Fahner says it's important to draw attention to the strides being made in the fight against pediatric cancer. A free community event featuring Amy Grant is being held tonight to celebrate National Breast Cancer Awareness Month. It’s the third year for “Candid Conversations”, which also honors First Lady Betty Ford’s legacy. Those behind the event want to raise awareness and help women understand their options and encourage them to take action, if needed. An ArtPrize exhibit featuring Grand Valley State University students from the Art and Design Department may not have won the big prize, but it is winning praise from the students' teacher. 'Framing the Experience' is more than just jewelry or even art: it reflects experiences in the artist's life. “ They all have a story behind it…"
Sitting just west of the blue bridge, set up in one of those moving pods, Shuying Vogt's been manning the GVSU jewelry and metalsmithing ArtPrize exhibit since day one. What do George Washington, Abraham Lincoln and John F. Kennedy all have in common? More than having been president, they “may” all have been “biologically” more likely to have leadership ability. Dr. Helen Fisher is a biological anthropologist who will be speaking Thursday on biology and leadership at GVSU’s Loosemore Auditorium. An investigation is ongoing at Grand Valley State University into the weekend hacking attempt of its Banner self-service computer portal. Hackers attempted to get access to just over 21-thousand accounts, but were unsuccessful. University officials say they don’t know the motive behind the attack, but they do say there’s something users can do to help thwart future issues. The Kent County Health Department is now offering free, confidential HIV testing to anyone with tattoos from an unlicensed operator. Officials say attempts were made yesterday to shut down a well-known location, but it appears the operator is not cooperating. The Health Department says it’s frustrated, but its biggest concern is public safety. A West Michigan zoo has officially dedicated its African-style camp for overnight visitors. Battle Creek’s Binder Park Zoo opened its Joe and Clara Stewart African tented camp and Zamani school. It’s set on an 18 acre savannah. Today’s the first day of ArtPrize in Grand Rapids. WGVU is taking part in the action with The Morning Show and my segments in All Things Considered coming to you live from the Grand Rapids Art Museum. Morning Show host Shelley Irwin got things started as WGVU broadcast live this morning, right in the middle of all the action of Art Prize 7.